About company | FERONA Slovakia, a.s.
FERONA Slovakia, a.s. is a modern business company dealing with purchase, storage, processing, logistics and sales of metallurgical products, metallurgical secondary products, ferrous and non-ferrous metals on a wholesale basis. The strategic location of business premises in the Slovak Republic (Žilina, Nitra, Košice) enables trouble-free delivery of goods to customers, whereas active personal communication with customers is ensured by regional dealers. 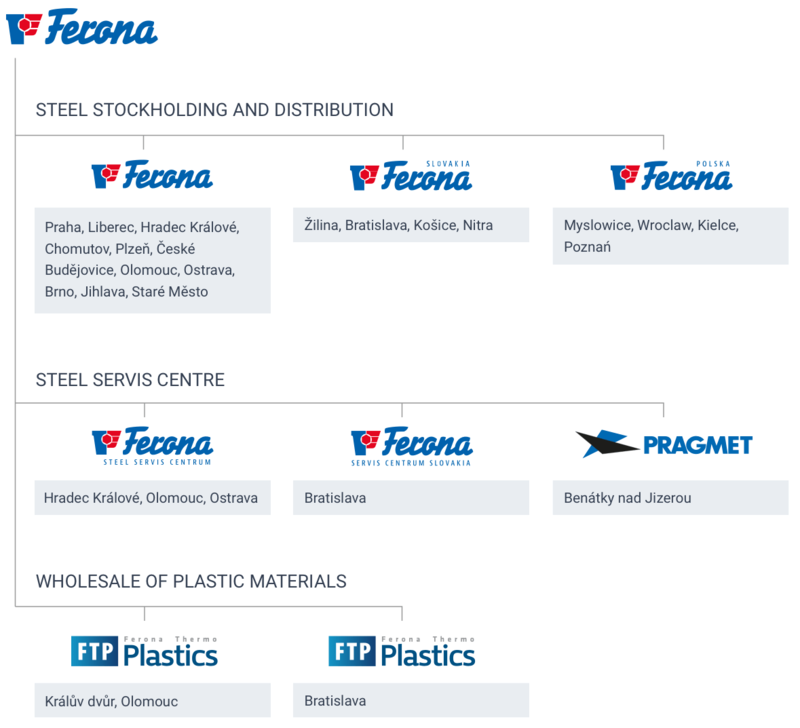 Unrivalled width of range of goods and complexity of the provided services (transport to destination place, material division, but production of dregs from plates and concrete steel adjustment according to client's requirements on own account) are main attributes of a company FERONA Slovakia, a.s. and thanks to them it keeps its position as one of top businesses with metallurgical materials in Slovakia. All our selling points are modernized and on-line connected with a unified communicative and managing system. The capacity of storehouses is 50 000 t. The roofed halls are equipped with quality crane technologies, we have our own siding management with accessories of our own twolocomotives and wagons. Business name: FERONA Slovakia, a.s.
Company is enlisted in the business register at District Court Žilina, section Sa, number 10315/L.